The National Planning Commission’s National Development Plan, published on Friday, makes a number of sensible, market-friendly proposals to grow SA’s information and communications technology industry. One of the most important is the idea of spectrum trading. It’s a pity, then, that the department of communications appears to have other ideas. Two documents published in the past week have shown how SA’s government can be both eminently smart and utterly imprudent at the same time. The first document, the National Planning Commission’s 430-page report — which has set out a framework for eradicating poverty by 2030 — cuts straight to the heart of the policy and regulatory problems that have held back the telecoms sector. The report makes a number of rational suggestions for how the country can expand access to broadband and bridge the so-called “digital divide”. The report also raises the “structural conflict of interest” of government holding a 40% stake in Telkom and, at the same time, setting policy for the sector. It also wants a review of state-owned enterprises to determine if they are “fulfilling their purposes, constraining competition, squeezing out private investment or not engaged in efficient expansion”. And it says, quite correctly, that SA “needs to express an unambiguous commitment to intensifying competition” in the sector. One of the most important — and exciting — ideas mooted by the planning commission is that radio frequency spectrum should be “fully tradeable once allocated”. In other words, if operator A has access to a certain spectrum band that operator B wants to use, then the latter can purchase that access. As regulator Ofcom put it when it started introducing spectrum trading in the UK about seven years ago, it allows spectrum to “migrate to users that will use it most efficiently, thus benefiting the economy”. 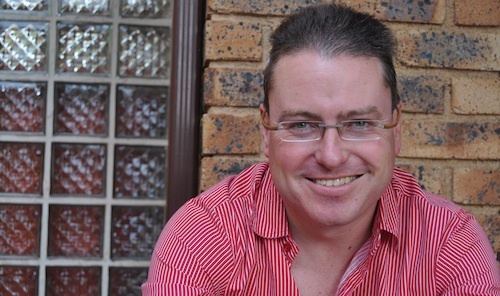 At the other end of the spectrum — if you’ll excuse the pun — the department of communications last week gazetted the Electronic Communications Amendment Bill. The bill represents a major step backwards for the sector and serves to undermine the constitutionally protected independent regulator, Icasa, by centralising spectrum decisions in the office of the minister of communications. Legal experts are already warning the bill won’t pass constitutional muster if it becomes law. It will give powers to politicians to decide who and who does not get access to spectrum, including terrestrial broadcasters. The temptation to use the power to allocate spectrum to muzzle voices critical of the ruling party may prove too strong to resist. In telecoms, we’ve already seen how government has favoured state-owned enterprises in the allocation of spectrum. Former communications minister Ivy Matsepe-Casaburri bullied a weak Icasa to give broadcasting signal distributor Sentech a valuable chunk of spectrum in the 2,6GHz band that is now lying fallow, despite the fact that commercial operators such as Vodacom and MTN are desperate for access to the band. Sentech should have lost access to the band years ago, but government has made no moves to force the company to hand the spectrum back to Icasa so that it can be licensed to private-sector operators and put to productive use. The National Planning Commission’s views on telecoms make a great deal of sense. Unfortunately, its document is only a set of recommendations at this stage, and any implementation of its contents first has to be approved by cabinet. Even if only some of its recommendations were to be adopted at policy level, it would go a long way to growing the telecoms sector. However, the department of communications has other ideas. Rather than doing what’s in the interests of the long-term development of the sector and of the economy, it’s proposing regressive amendments to telecoms legislation that run counter to global best practice. Next Article Spectrum trading in SA: a pipe dream?